So, here is what it looks like. 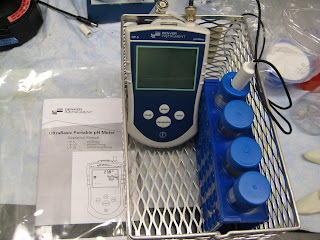 The pH meter is Denver Instrument UltraBasic Portable Meters. We found a small box and placed all the calibration buffers as well as manual. One step closer to a safer laboratory practice! !